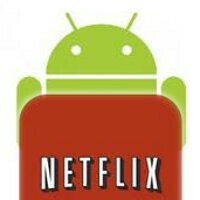 Although there isn’t anything drastically new with it, users will surely appreciate the new stuff found with the Netflix app for Android. Right now, there’s an update available for the popular video streaming app through the Google Play Store. Being nothing more than a minor update, this customary one brings forth some of the expected things such as promised stability improvements and an assortment of bug fixes. In addition, users will also notice that the app now sports an improved interface for the volume control function. Yeah, we know it’s not going to blow away most users, but nevertheless, it’s there to keep things fresh. Aside from that, there isn’t anything else particularly new with this one. Therefore, if you can somehow summon enough strength to press some on-screen buttons with your thumb, you can grab yourself the update right now. If not, you’re not missing a whole lot – well, that’s unless some of those bugs are really pestering you. the app needs a complete revision. it's so bad, especially in comparison to Hulu Plus. They need to add HD video playback. I know the TI Omap have that as the Motorola Xyboard has HD playback. I hope it comes to Nvidia devices soon.